I landed in India on Monday at 3:50 AM with no other arrangements other that 4 nights booked at Moustache Hostel and the intention to stay for a month. And I knew I wanted to visit Swaraj University so I asked my friend Martin to help with an introduction. Martin kindly helped and also mentioned “the unconference”. 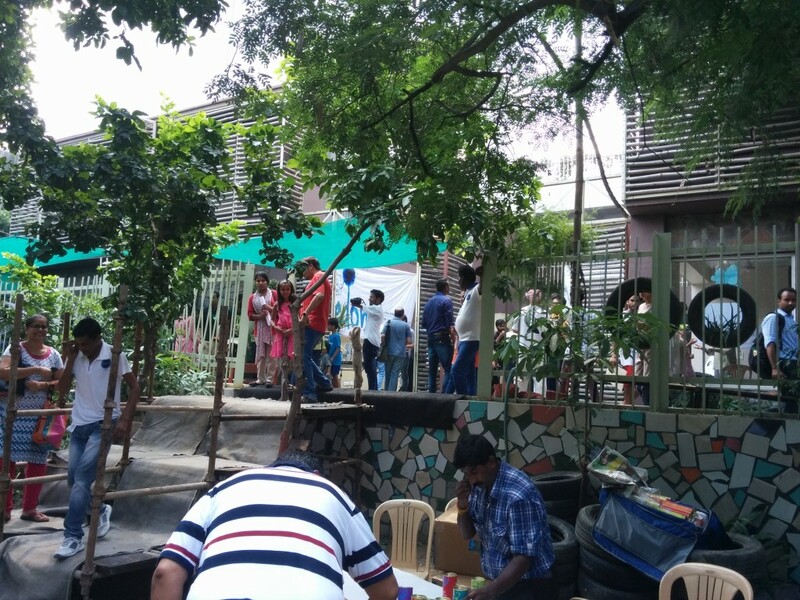 Almost too good to be true: The Noida NCR Learning City UnConference was taking place right in my first week in India! 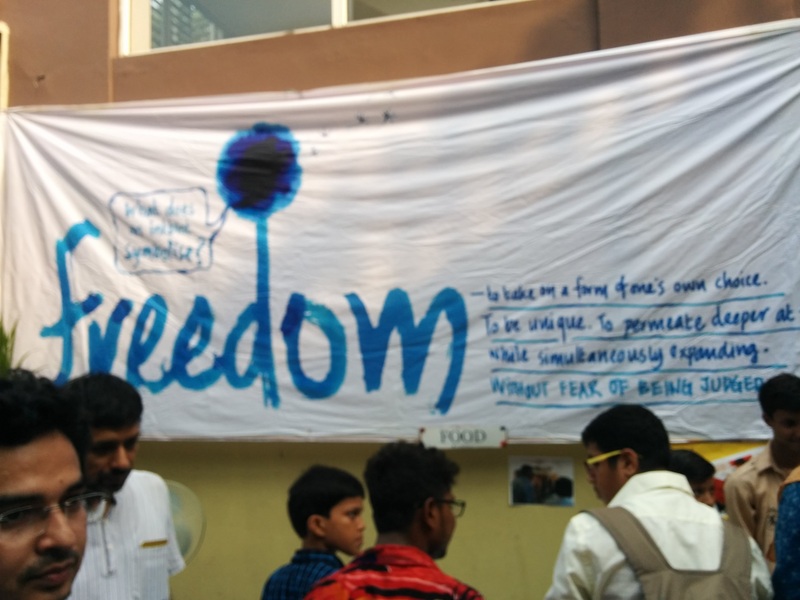 What other starting point for exploring alternative education in India could I ask for? I got there late enough to miss the introduction. As I walked through the gate, a cheerful energy invited me to relax about being late. Someone who appeared to be among the participants, probably noticing my disorientation, spontaneously asks: Do you know what an unconference is? What you see as you enter the space. But I did not mention any of that to Vijay. I wanted to hear what he will choose to tell me about this unconference. Vijay is a professional dancer and instructor, about to start his own dance company. He encouraged me to go around, talk to people and hug them. And then gave me a welcome hug as a proof of concept. This continued throughout the day, as I met Manish, Deepankar, Surhabi, Manik and his young brother, Vibhuti, Naman, Chandra, Kunar, Sonali, Rahul, Manish Kataria and others that I did’t find on facebook yet. Although I talked to only a small part of the 400+ attendees, each minute I was absorbing details and felt enriched and fascinated by people attending. For example, Manish Jain is one of the founders of Swaraj University and Shikshantar – The People’s Institute for Rethinking Education and Development. Deepankar founded Anubhavshala – a learning & development organization working in the field of employee engagement and people development. Surabhi is an architect turned into toy designer who owns a brand of toys called Gammat (= essence of play). Vibhuti is just 7 months into being an Expressionist, helping teenagers express their true self. Naman is one month into starting his own company called MakeMe. Akshat is a teenage social entrepreneur, incredibly wise and articulate. Chandra is the CEO of IDG Smart City & Village. Sonali is an energetic software developer, interested in doing “something social”. 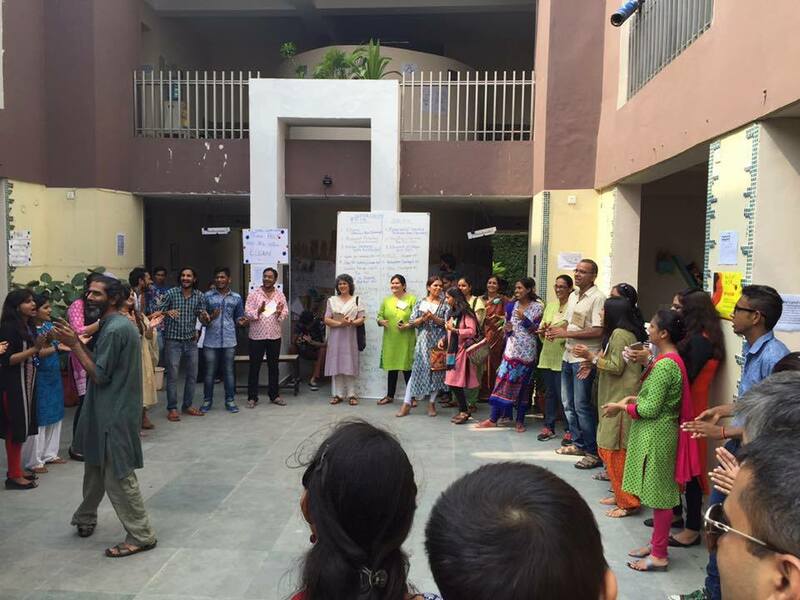 Rahul has a personal project of 52 weeks and 52 jobs in organizations that work for environment. I also saw a Teach for India T-shirt and recognized a few books by John Taylor Gatto and Daniel Greenberg. I would guess that freedom is at the heart of all the unconventional approches to lifestyle, work, economy or society that were present. Or maybe the big freedom banner influenced me. The conference was a collaboration of four organizations but it felt like it was a collaboration of everybody involved. To have a diverse group of cool people in one place is one thing. But to have also this spirit of sharing, collaboration and trust among them, is even more amazing. This I found truly inspiring and goes to my Incredible India list! Click image for original source. All in all, I had the feeling of meeting the alter/natives of India, the heroes that build an alternative world that is wiser, more just, more joyful and of course sustainable. And I am grateful to everybody involved for having the chance to experience a piece of that world for a day. A few more pictures from the Unconference here. This entry was posted in Miscellaneous, Travel Log and tagged education, india on September 21, 2015 by Traian Bruma.